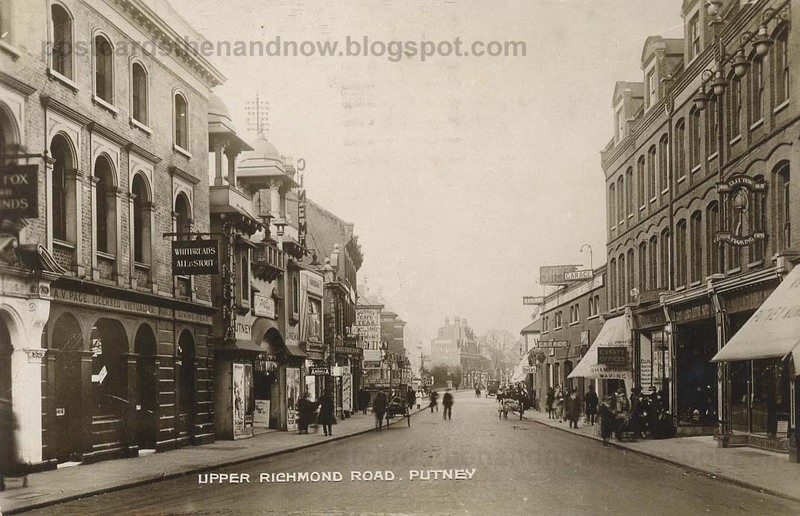 Putney, South West London, Upper Richmond Road circa 1920. The magnificent cinema has been replaced by a tree. The signs outside the cinema are advertising the films 'What Would You Do?' and 'The Auction Mart', which both came out in 1920. The Fox and Hounds pub is now just called the Fox. 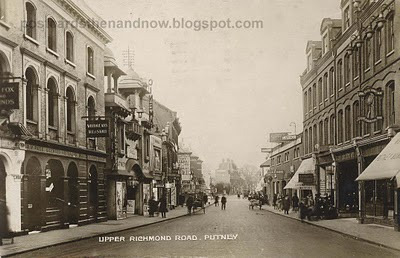 This postcard was published by E. R. Deacon of Roehampton.